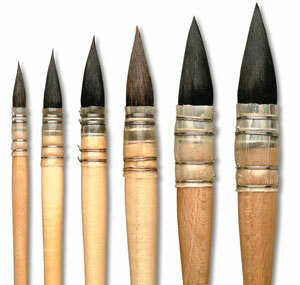 Brush will point up for delicate, fine work, or may be used as a mop for broad watercolor wash strokes. 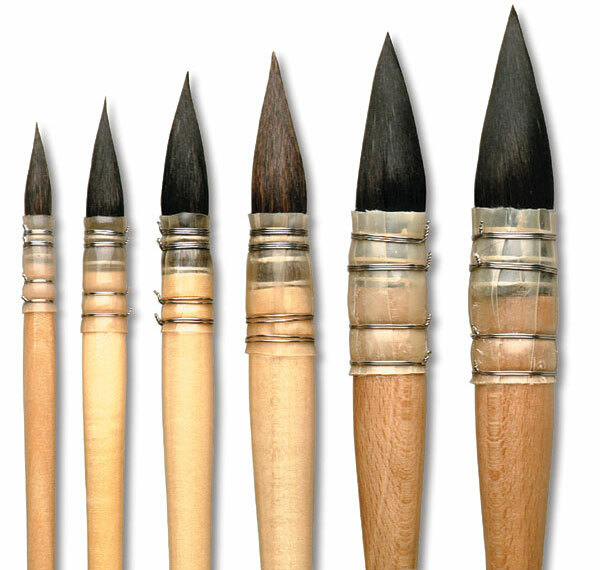 Hand-cupped in a natural quill ferrule, secured with brass wires to varnished, natural wood handle. Sizes 0 to 8.